Cleaning up in a challenging market. Our client has spent many years supplying cleaning services to numerous businesses across Sydney, but a large part of their business was via contract. 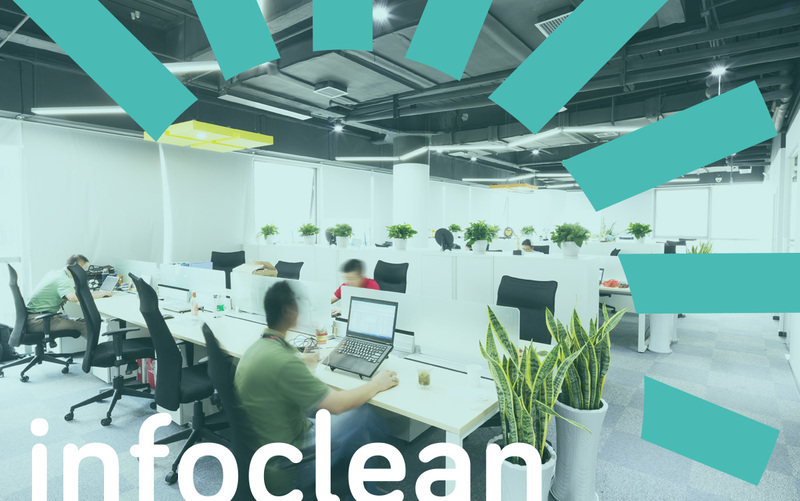 Infoclean wanted to establish themselves as the first point of contact and build their brand and business. They had very few brand or digital assets, but had great business experience and loyal clients. Building the digital business from scratch meant we had to plan for a challenging market across SEO and SEM, and build a strategy that would deliver results over the first 12 months. We created a strategy that covered a new brand and logo, style, tone of voice, plus ongoing management of digital assets to achieve multiple page rank goals and leads for the new business. We had to create a brand that translated the professionalism of the owners whilst still being approachable. The logo was created with a modern slightly rounded font that is coupled to a diminishing curve reminiscent of a cleaning action. We approached the entire web design with a goal to create something that was logical, very open and included plenty of white space. We wrote all the copy, constructed the navigation and built some pages specifically for SEO. In creating this website we looked at Infoclean’s competitors and found most were employing purchased themes and had a very cookie-cutter look. We set out to design and develop a website that was unique. SEO was a very important part of the build, from the navigation, structure, to the page content. The entire site was developed around data we had gleaned from Google. “The team are excellent to work with, they were prompt with communication, fantastic customer service and produced results. They did a great job creating our website and new logo. They went above and beyond to make sure that the site was exactly the way we wanted.